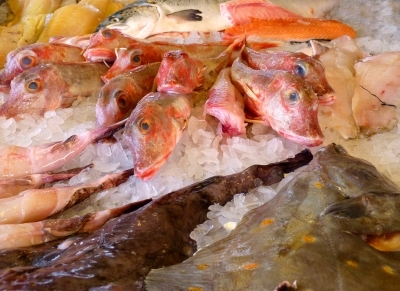 Something a bit fishy – why we should use fishmongers and perhaps why some who could don’t. As I mentioned in my recent blog post Forget the rest, home smoked salmon is the best trying to get the required side of salmon for smoking was a far harder task than I envisaged. I like to buy from local businesses, where possible, and working near the centre of Cardiff I am a frequent user of Cardiff market. 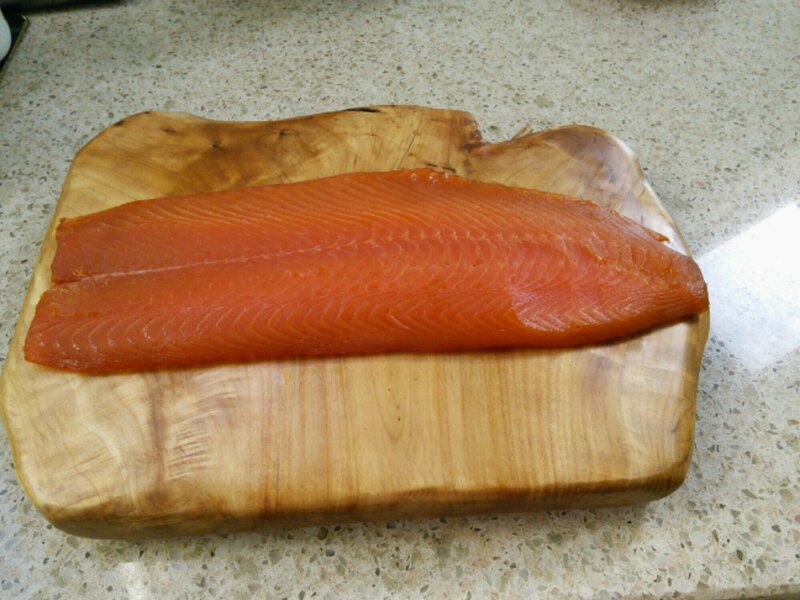 On the day in question there were a number of fine looking whole salmons on the counter (but no sides of salmon). 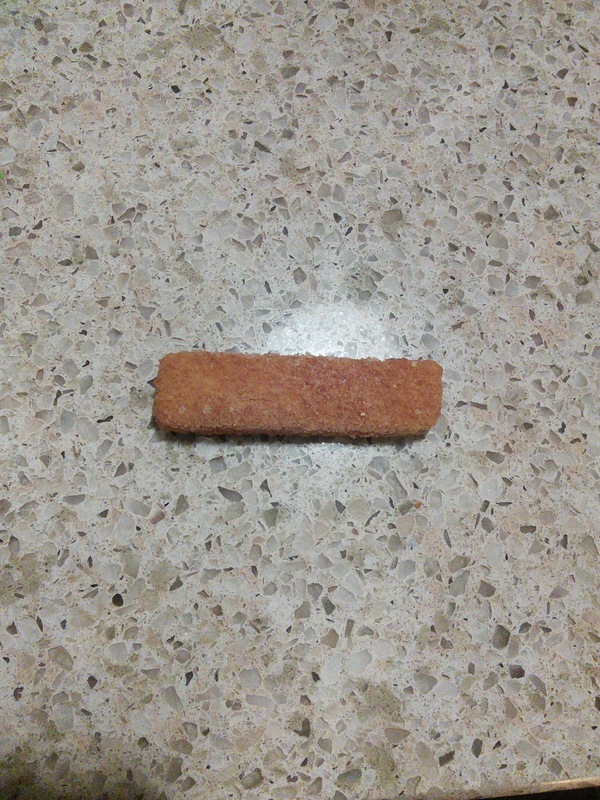 I wanted a side and asked for one from a smaller fish. The response to this (seemingly reasonable) request was a blunt ” it’s the whole fish or nothing”. I was not advised that filleted sides were available but not on display (as it later transpired was the case albeit at a higher price) nor was I asked if they could offer an alternative, such as perhaps a side of sea trout. I have to say my reaction was open mouthed astonishment and my response was simply to say “I will get it elsewhere then” (again no response in terms of “we do have cut sides out the back if you want or can we offer an alternative”) and to walk away. I was in a hurry, as had other things to do in my lunch hour, so l couldn’t tarry to argue the toss and left fishless. I did want some hake and prawns as well (Mrs. SF fancied making a fish pie), but decided getting them elsewhere was a better option. To me this is poor customer service and akin to being told by a butcher, in response to a request for a leg of lamb, it’s the whole lamb or nothing. Now that would be preposterous, wouldn’t it ?! Not what I expected or indeed hoped for from a specialist fishmonger. Maybe the chap who “served” me was having a bad day, but could this seeming indifference to a customer (who wanted something that required a tiny bit of effort) be one of the reasons why in the UK people mainly buy fish from supermarkets (it certainly cost Ashtons a sale that day). A little research found a massive imbalance in terms of fish sales in favour of frozen and breaded fish fillets rather than fresh fish and the big supermarkets being overwhelming dominant, in sales terms. The later is, perhaps, due to the lack of fishmongers, but it is a case of cause and effect. Despite my salmon side purchase fiasco or due to it, I got to thinking about, as I see it, the merits of buying fish from a good fishmonger rather than as a precut and prepacked product from a supermarket. To Ashton’s credit they did speak to me on the phone about my concerns as to the service provided and agreed with me that the key to a fishmonger’s success is the advice they offer to the consumer and their flexibility in terms of the products they sell. They did say they actually had salmon sides out the back on the day in question (sadly my x ray vision was on the blink that day and not being told this at the time meant I was unaware of this rather pertinent fact). So that is one non supermarket based fishmonger for every 175, 000 people. This is amazing and frankly rather depressing, made more so by the fact that Cardiff is by the sea (and the abundance of seafood riches offered by the long Welsh coastline). 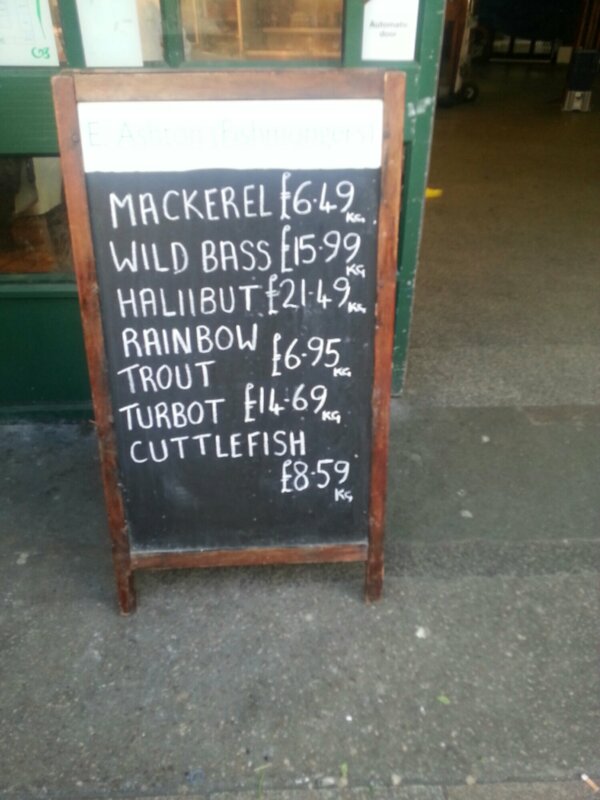 I can only conclude from this that most Cardiffians buy fish from the supermarkets, which is such a shame. ° We are a bit scared of fish. A lot of people simple do not know what to do with it . Take the phrase “sounds a bit fishy” – a term for something suspicious or a bit dodgy. As a result most fish sold is precut, prepacked and breaded (I sometimes wonder how many kids think fish swim in the sea covered in a breadcrumb or batter like skin). A lot of people in the UK seemingly do not like to see the face of what they eat (the Continent is far less squeamish). We, however, eat loads of prawns etc (which look much weirder in my opinion ). ° We do not like bones, hence the default position of precut fillets and, in particular, breaded fish. My Father, who eats pretty much anything, will stop eating a fish and push the plate away if even one miniscule bone is found. ° We do not know our fish outside of the familiar species (e.g. salmon, cod, tuna and haddock) and are generally afraid to experiment outside of those species. ° We are not confident as to how to cook fish. ° We think fresh fish is really expensive. ° prepares the fish (getting rid of those pesky bones). In short, a good fishmonger covers off all the concerns we have about buying fresh fish. A good fishmonger, who cares about his/her products and customers, is worth his/her weight in gold and should be cherished. We should all buy more fresh fish and we should buy it from a good fishmonger. I would conclude by saying we should all “plaice” more faith in our local fishmongers (if you are lucky enough to have one) to see us right fish wise (sorry could not resist one fishy pun). I have never tried percebes but they are very popular in Galicia and we lived there for 10 months. As per your post, I was too scared to try them haha! I love razor clams though, they too taste of the sea! 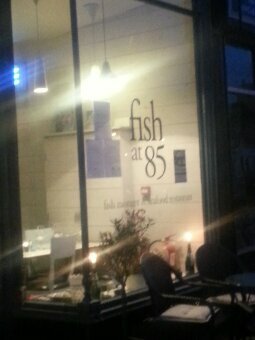 This entry was posted on Mar 19, 2014 by solicitingflavours in fish, Food, retail, Wales.